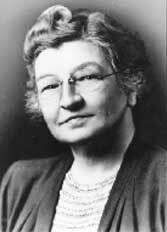 Edith Clarke was world’s first female electrical engineer, first woman to accomplish an electrical engineering graduate degree from the Massachusetts Institute of Technology (MIT) and the first woman professor to teach in the engineering department of the University of Texas-Austin. She was also the first female engineer to achieve professional standing in Tau Beta Pi, the first woman to be elected as an American Institute of Electrical Engineers (AIEE) fellow in 1948. She specialized in electrical power system analysis and wrote on Circuit Analysis of A-C Power Systems. Edith Clarke was born on February 10, 1883, in Howard County at a small farming community in Maryland to John Ridgely Clarke and Susan Dorsey Owings. 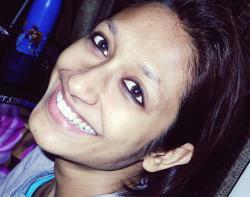 After her parents’ early demise she was mostly raised by her elder sister. In 1908, she attended the Vassar College and graduated with honors and as a Phi Beta Kappa. On completion of studies, she started teaching mathematics at a private girls’ school in San Francisco, and later at Marshall College in Huntington, W. Va. In 1911, she enrolled at the University of Wisconsin as a civil engineering student and after one year she took up a summer job as a computing assistant to George A. Campbell at AT&T after which she did not return to her studies and preferred to stay on the job. In 1918, she returned to her study and enrolled at MIT where she earned an M.S. in electrical engineering in 1919. In 1919, she joined GE as a supervisor of computers in Schenectady, NY, and during her leisure time she developed the Clarke calculator to solve electric power transmission line problems and filed a patent for it in 1921. The same year she quit GE as the company reportedly denied offering her an engineer’s position. Edith joined the Constantinople Women’s College in Turkey. In 1922, she was called back and re-hired by GE as an engineer in the Central Station Engineering Department. In 1926, she became the first woman to submit a paper before the American Institute of Electrical Engineers and in 1947 she became the first ever woman to teach engineering at the University of Texas, Austin. In 1943, she wrote a significant textbook ‘Circuit Analysis of A-C Power Systems’ based on her notes for lectures to GE engineers. In 1956 she took retirement from teaching and died in October 1959 at the age of 76.